My paternal grandfather used to say that blue jays were "clowns in baseball uniforms" - which I think is a perfect description. 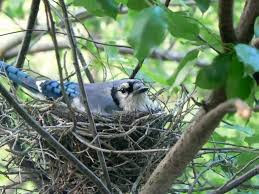 There's one nesting in the neighbor's cedar tree on our fenceline - the same cedar tree I almost burned down seven years ago. I thought Piper was going to scare her off, but she's hanging tight, and I can keep an eye on her without getting too much in her business. I'm enjoying it. Piper is largely indifferent - but we'll have to see what happens once we have fledglings. I didn't sleep well Monday night, last night, I took a Zzzquil. They're just fancy Benadryl, and I know this - but I had some from a trip last year, and I wanted to crash. Which I did. Now the problem is shaking off the morning brain fog from it. I could honestly go back to bed for another few hours. Easter is coming. Which means candy. Or, potentially means candy. I am for sure making my husband a coconut cake to take to work tomorrow. What is it about Easter that plays well with coconut? I can't prove that they had coconut cake at the last supper, but I can't prove they didn't, either. Other than bread and wine, what was the food served at the last supper? I can see Mary and Martha arguing over how many lasagnas to get "Well, you know that Peter is a vegetarian these days, so we have to get one veggie one, right?" "Do we have something for anyone who's not doing gluten?" "I was going to just do fresh fruit for dessert..." "Let me run to Publix and get a cake..." "Oooh - get a coconut cake!" And then Martha comes home with key lime pies instead, and all hell breaks loose. 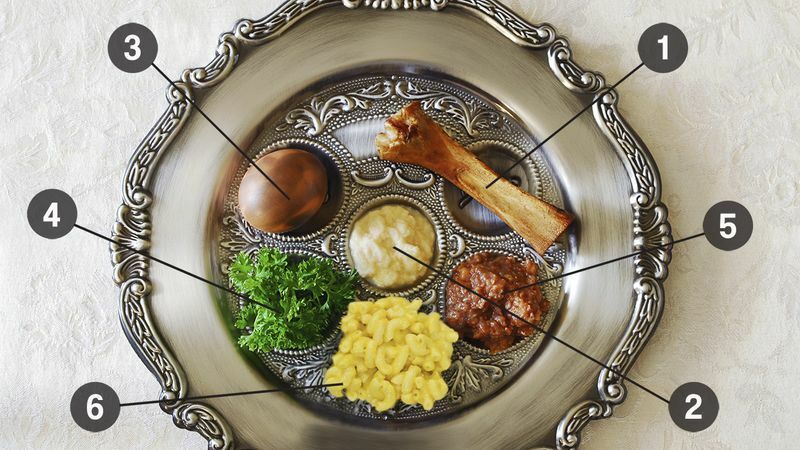 Let's be honest though - it's not as if the Passover selection is any less bizarre - but they have a special plate, and lots of symbolism - so, that's cool. I do love a good bitter herb dipped in saltwater. Once, many years ago, I was visiting my college boyfriend and we were in someone's dorm. They were going to order a pizza, and one of the kids said, "No pepperoni". Someone else asked why, and I said, "Because it's trayf". The kid, who I knew was Jewish, looked at me and said, "Marry me!" No, I didn't. I don't even remember his name. I think it was Steve. Whatever. I assume he married a nice Jewish girl, and not just a girl who read the hell out of The Joy of Yiddish. This is going to piss me off. I'm going to try to dredge of the name of someone I knew for less than a week 23 years ago. I can see him clearly in my mind - but even that might just be imaginary. Damn. Yesterday, I had to try and define 'pejorative' to someone, and my brain just shut off. I couldn't think of how to describe it. I finally said, "It's something negative. Like a sick burn." Yeah, I was a Journalism major. With a great score on the English portion of the SATs. I never took the ACT. I would be tempted to take it once just to see how I'd do. To be fair, my mind was more nimble back then. I would probably flop hard now. I think about that sometimes. If I could get a do-over on some things knowing what I know now. I can't think of anything I'd really change. Maybe a few little things (hair mistakes, mostly) - but nothing major. So, birds, cake, life choices. Sounds like the perfect blog post. Somehow I married a woman who doesn't like coconut. In fact she loathes it. But I suppose we all have our quirks and because of her other qualities I would have been meshugge to not marry her.